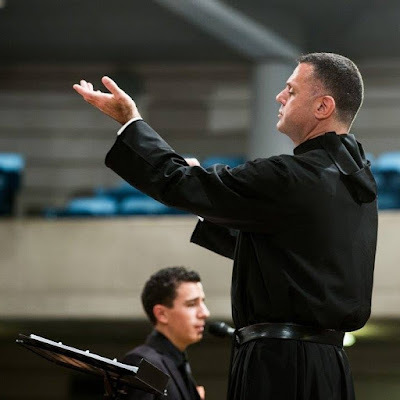 GAYANAT - eng: SACRED MUSIC OF MARONITES. INTERVIEW WITH FATHER MILED. SACRED MUSIC OF MARONITES. INTERVIEW WITH FATHER MILED. There is ancient city Byblos (Lebanon) where you can find amazing monastery of St. Charbel. This place is famous all over the world, people come here to get spiritual and physical healing. Here we were introduced with Father Miled. 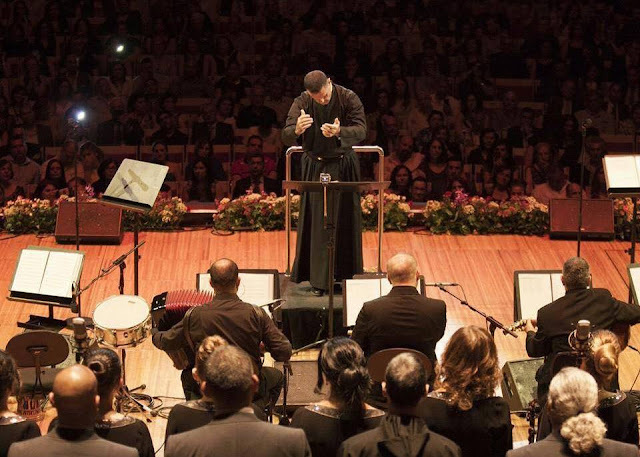 He is the director of quite famous choir that is unique for its amazing music in old Aramaic language. This music is not about art, it's more about service of God and people. · GN: How many Maronites are there in Lebanon? Lebanon is multi-confessional country. Here are 18 religious communities. This diversity of religions leads to diversity of cultures and traditions. And each culture has contributed something into creating general Lebanese tradition. Starting from the 8th century the number of Christians have gradually become less in the Middle East. But Maronites have managed to save their independence. Today in Lebanon there are 28% of Maronites. But you can see them much more all over the world. GN: How does this religion affect people's behavior and lifestyle? It is obvious. I will explain it easily. Of course, religion affects lifestyle. Everyone have their customs, traditions and thinking. Some people are affected by religion, some are affected by society. Eastern society focuses on family, family gatherings, for example, at religious events, prayers. To my mind, Christian air and soul in Lebanon is the same as in Europe, America and Australia. We all believe that Christianity is based on sin disposal, love, forgiveness, freedom and dignity. · GN: Do all these religions exist harmonically in one country, to your mind? As I told before, we are multi-religious country. Constitution prescribes to respect every religion. It settles on a legal level some kind of balance of all basic religious groups. However, there were some restrictions and constitutional term that might be understood as unfair. But in general all respect each other. Division of Christians and Muslim is significant. But Christian and Muslim opposition was considered to be the most actual in Lebanese society. Religion in Lebanon is not only about individual preference expressed in ceremonies, rituals of church service. Religion is phenomenon that quite often determines social and political identification. So, it is politicized. Even state power is divided, according to religious principle. You can notice that Lebanese Christians and Muslims differ from other Christians and Muslims. Here we respect religion of each other. Of course, there are exceptions, where minorities don't respect religion of other's and this is how conflicts start. · GN: How do you think, what is the future of the Maronite church? The Maronite Church is a Church of persecution. It has not yet attained the age of "Church of Peace". It is in constant contact with other Eastern Churches. It also dialogues with the Muslim environment. Long accustomed to dealing with the Roman Catholic Church and France, the Maronites feel no apprehension cultivating cultural exchange. This affinity with their Antiochian identity has been constant in their history. The Maronite community, by the way, is the largest Christian group, has its own patriarch, church service, and priestly customs. They are not centered as before only in Lebanon. For example if we are 800,000 to 1 million in here, all over the world we can find around 10 million. The future offers many conflicts to Maronites. That’s why we need to pray in order to stay close to the Church. We are subject to many attacks, especially the young generation. This is what causes the carelessness and remoteness of some. Faith is not a way to manipulate God. It is not a power by which we make God do what WE want when He would be unwilling to do that thing. Faith in God is having the kind of incontestable and unconditional trust and confidence in Him. · GN: Now to the choir. What is happening today and how many members are there in "AsSawt Al’Atiq"? It was created in 1997, thus expressing our religious beliefs, singing God and the country, in line with our Lebanese eastern identity, innovating while attached to the past. Today, the group « AsSawt Al’Atiq » has become an Association. We are approximately around 300 persons, including choirs, directors, assistants, adherents, teachers and students of our music school. We are known as « AsSawt Al’Atiq » in Arabic / "Qolo Atiqo" in Syriac, which means The Voice of One Time. We have also a choir for youth, known as "Coro Aquilina". Very talented and with great potential. From 1997 to 2016 we had concerts in and out of Lebanon and recorded many CDs. Our mission is to share our Lebanese Maronite tradition and culture with others around the world and present it in a professional way. I believe that music is a way to connect with others, so we perform in a way that will leave a trace in our audiences, even if they have different mentality and culture. Music helps to define us, creating our communal self-identity. In 2005-2006 we built a school for music and arts. We have 18 professional teachers and 200 students. We aim to give to our students the solid bases that will enhance their future career or talent. · GN: So you are trying to value the Aramaic language in the choir's performance, right? The Aramaic language was spread around the world before Islamic invasion and it was the original church language for prayers and religious celebrations in Antioch. After Islamic invasion the Arabic language started to spread out slowly especially in the countries occupied by Arabs. At that time the Arabic started replacing the Aramaic. But Syriac language, a dialogue of Aramaic, kept being used in the church during liturgical celebrations. · GN: While getting to know country we are always interested in personalities, any country can be presented through personality. How and why did you decide to become a priest? I think this is a call from God. Our childhood was hard because of the war in Lebanon. The majority of young men joined then the Lebanese Forces in order to defend the country. Even though I lived in that atmosphere, this did not prevent me from going to church. War was never an obstacle, I was really attached to GOD. After I finished my secondary school at the age of 18, my desire was to enter the Maronite order because of my deep personal convictions. I was thinking to enter at the age of 11 because I felt that I was close to God, but I believed that 18 was a better time to start my priesthood life and mission. Why and how? I believe that it is a God's will. There was something inside me, that I don’t know how to describe, that directed me to that path. The Lebanese Forces mission was to safeguard the Christian community in Lebanon but by force, by the use of weapons. So I took their concept to love Christianity but by being a monk, by spreading the essence and spirituality of this religion, by representing its tradition and performing its rich musical legacy to others. I replaced weapons by music thus moved on from war to peace. · GN: Are there any priests in your family? No, my maternal grandfather was a priest but I don’t know him. · GN: And what about your parent's opinion for being a priest? My parents raised us in a way that every one of us has a free will to do whatever he wanted. They respected my decision but afterwards, I discovered that they were not enthusiastic about my choice. · GN: Every person has a mission in life. What is your mission and what are your dreams? The first goal that I achieved was enrolling into the Lebanese Maronite Order and becoming a Monk. 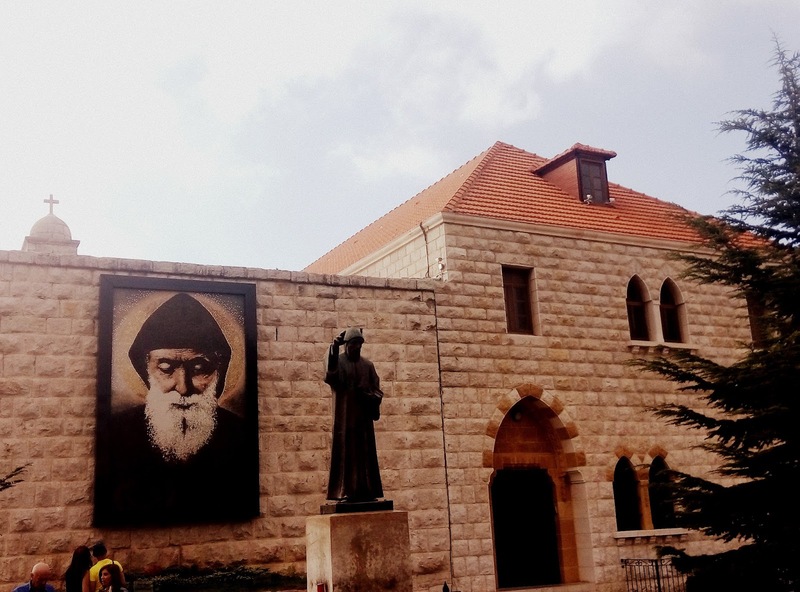 Of course the dream of every monk is to become a Saint like Saint Charbel, Saint Rafka, Saint Neemtallah, Brother Estefan and many others. Our Saints are the example. Even if they lived in a different way accordingly to their time and era, completely different than what we live today, we adapt ourselves and look up to them. In brief, my mission is to spread the Christian mentality and traditions through promoting Christian testimony and putting it into action. · GN: What are your values? · GN: How do you see the future of the country? Back in time till today, the overall condition of our country has never being stable, neither in politics nor economics. Every time that conflicts arouse we managed to get over them but we don’t know how. Of course, I am convinced that Lebanon wellbeing always relies on miracles because this country is mentioned many times in the old/new testimony. Jesus passed by this country, so did the disciples. This is why one can strongly feel God's presence here. Yes, God's spirit is all over Lebanon. I believe that the blood of our ancestors and the continuous presence of our Saints are our guarantee that we will continue to move on and overcome conflicts. They have always been there and will keep on watching over us, so we don’t fear for Lebanon. How? Nobody knows. God knows.